To contact us email Ben or Rebecca, or call the lab at 617.324.2891. Are you interested in getting your brain scanned? Check out the department mailing list. Participate in our research by being a subject! Participating as a subject is a great way to learn about Saxelab research and even earn a little money on the side. The average payment is about $30/hour. Please e-mail Ben if you are interested in becoming a Saxelab participant. You can also learn more about participating as a subject in other MIT Brain and Cognitive Sciences studies here. We are also currently conducting an fMRI study on the neural basis of motivation, which pays up to $350. If you are interested in learning more about this study, please visit the website! 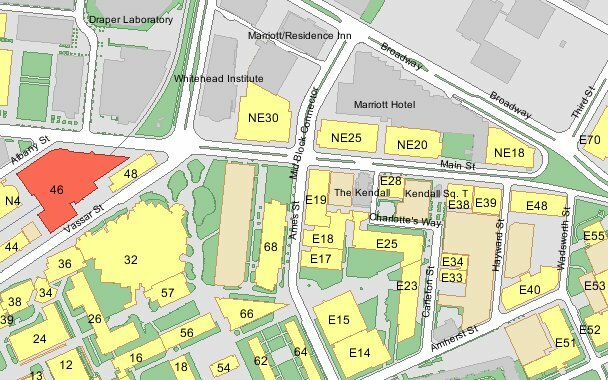 We are located in the Brain & Cognitive Sciences department on the MIT campus, room 4021 in building 46.